Pastor James Ng’ang’a is not new to controversy. The founder of Neno Evangelism Centre is always grabbing headlines for all the wrong reasons. Now, a video of Pastor Ng’ang’a allegedly healing a diabetic patient has surfaced and Kenyans are super skeptical about it. In the video, a 46-year-old man who claims to be from Naivasha and is suffering from diabetes makes his way to the pulpit for healing. He explains his medical condition to the a pastor who has no idea of what diabetes is. Diabetes: Is a chronic condition in which the pancreas produces little or no insulin. Diabetes has really affected me. I’m always thirsty and I take a lot of water. Apart from that, it also makes me not perform well in bed. Pastor Ng’ang’a then starts interviewing home. Diabetes inaua hiyo kitu yako ya wanaume?Kanakwisha? Unabaki sinema? (Do you mean it affects your manhood in that you just feel useless?). I’m 46 years but I can’t perform my duties as a man,’ the man narrates. 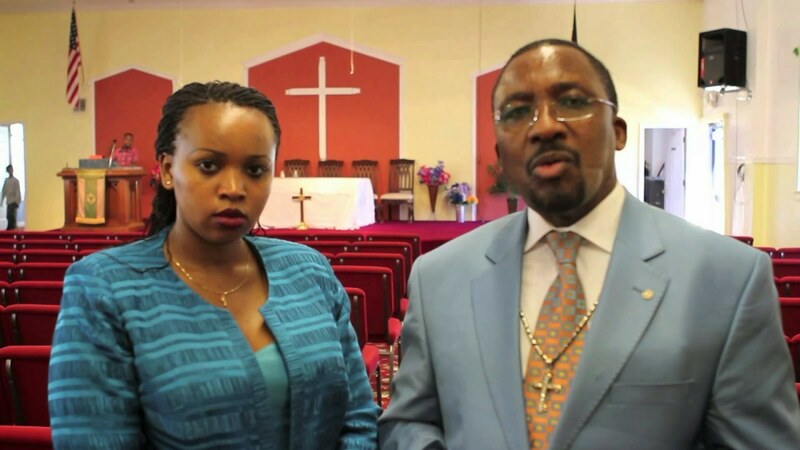 Apostle Ng’ang’a goes ahead to brag about how he is still a bedroom bully. (Laughing..) My friend, you sound funny. You’re 46 and you can’t? Eeh? Imagine mimi niko na 67 years and I’m good. The man of God then touches the patient, who falls down, and he starts slapping him, exorcizing ‘demons’ from him. Piga nduru, lia sana, Diabetes katika jina la Yesu. Ita wenzako, waite wote, kimbia muende, piga nduru muende. After a few minutes, the man stands up and confesses he’s ‘freed’ from all illness and demons. James Ng”ang’a goes ahead to preach to the congregation telling them about how Jesus heals any type of disease. The man, who claims to have been healed, gives a testimony. He further asks the man of God to pray for him so that he can get billions because he is allegedly waiting for a project he’s working on. Nisha Crafts What happened to giving God respect by not wearing a hat in Church???? Ituri Ole Semuliki Pastor na kofia kanisani !!!! Ali Mohammed Pastor mwenyewe amevaa kisharobaro si ni kutubeba ujinga!